Caring for historic gardens and designed landscapes, the Association of Garden Trusts consists of 36 County Gardens Trusts. The auricula first appeared in European gardens around the middle of the sixteenth century. The cultivated forms grown today have been developed over the past 350 years. 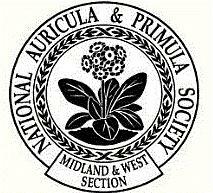 The National Auricula and Primula Society is committed to keeping alive part of our plant heritage. During the late nineteenth and early twentieth century gooseberry societies flourished in the north of England. The Blackden Trust houses some of the archives of the Cheshire gooseberries societies. 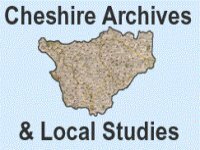 Cheshire Archives and Local Studies collects, protects and promotes interest in and the use of records and printed material relating to the historic county of Cheshire. The collection of Caldwell's Nurseries business ledgers are housed in the collection. 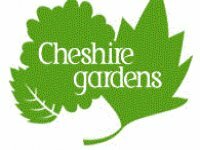 Affiliated to the Association of Gardens Trusts, Cheshire Gardens Trust aims to promote the enjoyment, use and understanding of our parks and gardens. The CGT has undertaken the Caldwells Nurseries Project. Cheshire is the Home of England's Finest Gardens — Whether you prefer to discover our fabulous stately homes or get a blast of fresh air and wander through the gardens — Cheshire's gardens have something for everyone. The Association's purpose is to provide an umbrella service for all local history and heritage societies within the bounds of the ancient County Palatine of Chester, and to bring together individuals and organisations interested in all aspects of local history. It also seeks to improve communication between individual members and societies both within Cheshire and beyond. There is more to Chester Zoo than meets the eye, with over 12,000 wonderful animals within the zoo and thousands more around the world being helped through the zoo's conservation and education activities. The zoo's mission is to be a major force in conserving biodiversity worldwide. The Hardy Plant Society exists to stimulate interest in growing hardy herbaceous plants. The Society informs and encourages the novice gardener, stimulates and enlightens the more knowledgeable, and entertains and enthuses all gardeners bonded by an interest in hardy perennial plants. It also works towards ensuring that all garden worthy perennial plants remain in cultivation. Knutsford Heritage Centre is located in the heart of the town in a reconstructed 17th century timber framed building on King Street. Run by volunteers, it has an extensive archive of life in early Knutsford and a comprehensive record of Knutsford Royal May Day and its May Queens dating from 1864. One of Britain's greatest industrial heritage sites, showing how a complete industrial community lived. Quarry Bank overflows with the atmosphere of the Industrial Revolution. A visit to the cotton mill, built in 1784, and powered by Europe's most powerful working waterwheel, will certainly stimulate your senses. The world's leading garden plant conservation charity, bringing together the talents of botanists, horticulturalists and conservationists and the dedication of keen amateur and professional gardeners, to encourage the conservation of cultivated plants in the British Isles. The RHS was founded in 1804, and its core objective is to be the world's leading gardening charity by inspiring passion and excellence in the science, art and practice of horticulture. Tabley House was designed by John Carr of York for Sir Peter Byrne Leicester, Bt., and completed in 1767. Caldwell invoices and ledgers record large and varied orders of trees, shrubs, fruit, flowers, bulbs and vegetables for the park and gardens. 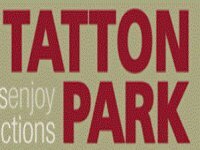 Tatton Garden Society was formed in 1962. Its purpose is the promotion of science and research in horticulture for the benefit of the public. The Society is a registered charity. Located in 1,000 acres of beautiful deer park, the former Egerton family home is open for you to explore. Uncover centuries of history at the Tudor Old Hall and witness life above and below stairs in the mansion. Wander at leisure through huge glorious gardens and take the kids to meet very special rare breed animals at the working Farm. For nearly 400 years the estate was the property of the Egerton family until it was bequeathed to the National Trust in 1958. Today it is financed and maintained by Cheshire East Council. The Wakefield and North of England Tulip Society is for all who are interested in growing & showing tulips and historic florists' flowers. Many of the tulip varieties that we grow date back to the 1800s, and we maintain the traditional strict standards of form, purity and colour set down by the early florists.